John Oxborough, Chasing My Tail, 2019. Acrylic on canvas, 66 x 70cm. Courtesy: the artist and Sanderson Contemporary, Auckland. 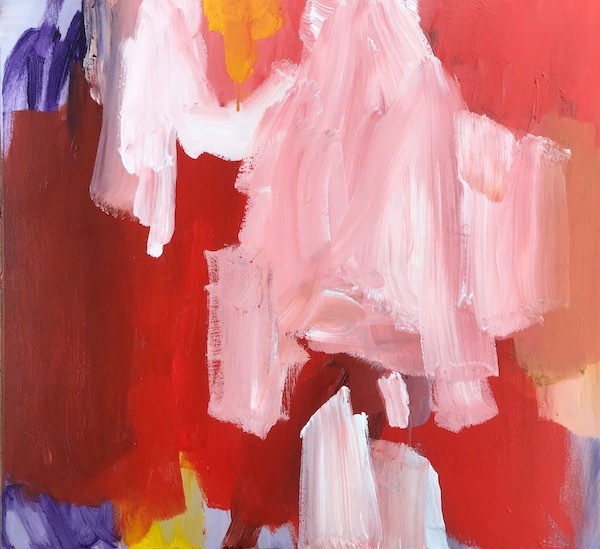 Chasing Colour exhibits new works by John Oxborough and guest artists Leanne Williams and Jim Dennison who work collaboratively under Crystal Chain Gang. In this exhibition, colour is brought to life through Oxborough’s expressive canvases and Crystal Chain Gang’s handcrafted chandeliers dripping in intricate coloured glass.